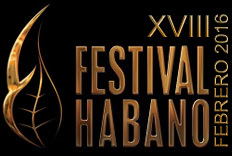 What better way to blow off the damp January blues than with plans for going to the Habanos Cigar Festival in Havana, this year from 29th February to 5th March. We will hold our annual lunch party on Friday 4th March in the lovely garden at Espacios, on Calle 10 in Miramar. We will serve drinks on arrival at 12.30 with a cigar, followed by a delicious seafood lunch (brought to us by our fishermen friends Noel and Yeremie, straight from the sea!!) with music and a relaxed atmosphere. It is officially the only way to recover from the busy week of the festival so far, and get ready for the Gala dinner! The invitation is open to members and non members, men and women. Whilst there are some tickets available on the day, we encourage you to either book through Eventbrite in UK£ or make a booking and pledge by email to sarah@womenscigarclub.com to pay in local currency when in Cuba. Early bird tickets are available on Eventbrite at a discount of £ 7.50 before 5th February !! The WiCC will be in Havana the week before too. Join us ! 1) For early arrivals, join us for a pre-festival party on Wednesday 24th February in Havana. We are finalising details for this so let us know if you’d like to join us and we will send you full details.